Wellness Corporate Solutions would like to congratulate several of our clients for being named “Excellent Workplaces” by The Alliance for Workplace Excellence. It is our belief that a comprehensive wellness program is just one of many important benefits employers can offer employees to create a positive work environment. On June 13th, The Alliance for Workplace Excellence will host its Annual Awards Luncheon to commemorate sixty-seven Washington, D.C.-area businesses for their superlative office offerings. Of these 67 winners, we would like particularly to applaud our clients, Booz Allen Hamilton; IntelliDyne, LLC; Marriott International Inc.; and United Educators, for their passion for workplace excellence. We feel honored to work alongside these wonderful organizations. The Alliance has recognized the Washington, D.C. area’s best places to work for the past twelve years. This year, AWE will also honor 22 Mid-Atlantic region businesses that have demonstrated their commitment to environmental sustainability. The 63 winning companies represent more than one million employees from organizations of all sizes and in all sectors—private, public, and nonprofit. In 2011, 57 companies will be recognized as Excellent Workplaces, 38 companies will be recognized as Health & Wellness Trailblazers, and 22 companies will be recognized as EcoLeaders. 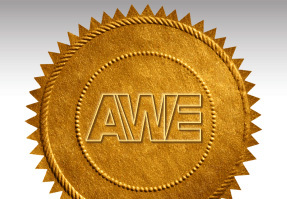 AWE will also recognize the 15 winning employers who are “triple winners" - recipients of the Workplace Excellence Seal of Approval, the Health & Wellness Trailblazer Award, and the EcoLeadership Award. Congrats to all the winners of this year’s coveted awards! For the full list, click here.